One of the most stressful events one can endure is a home or business affected by water damage. Water damage not only has the ability to damage the furniture, appliances, and other items that are contained in the flooded room(s), but it also has the ability to destroy the structure of a building and can even pose a risk to the health of your family members or employees. There is a reason you love your dryer — it allows you to dry your clothes fast and put your laundry away quicker than if you were to let your clothes air dry. Just like your dryer removes moisture out of your clothes, our industrial electric heaters for water restoration are effective in removing water from the objects affected by water damage — faster and more effectively than other water restoration solutions. This is essential because it allows you to move back into your home or get your business back up and running as soon as possible. First, it’s important to understand the causes of water damage. Unfortunately, there are many ways that your home or business can be affected by water damage. However, by understanding the potential causes of water damage, you will be able to take the precautionary measures needed to prevent a leak or flood leading to a huge restoration project. Here are some major causes of water damage in both homes and businesses. The most common cause of bursting pipes is frozen pipes. When water freezes within your pipes, it causes the pressure inside of the pipes to increase, causing it to explode and flood the area around it. Therefore, it’s important to keep an eye on your pipes that are in unheated areas of your home or business, especially during the winter to make sure your pipes aren’t freezing. This will help ensure that you catch any frozen pipes before they burst and flood your home. Sump pumps, water heaters, and clogged sewer and drain lines are all common plumbing issues that may cause your home or business to flood. It’s important to be cautious of flooding when the power goes out, as your sump pump will stop working. If you reside in a high risk area you may want to invest in a gas powered generator for emergency back up. It’s essential to keep your eye on your water heater as it becomes older (around 7 years), as the tank can begin to deteriorate and leak. An important thing to note about water heaters is that they are designed to automatically refill, which can lead to a flooding disaster. 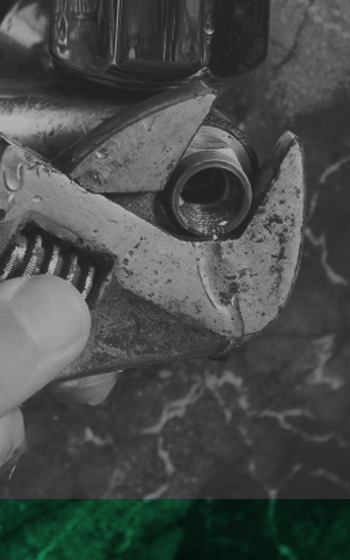 Broken or clogged sewer and drain lines are arguably one of the most unpleasant types of water damage one has to deal with. Fortunately, most causes of flood damage can easily be prevented. Simply, don’t flush anything down the toilet besides toilet paper and avoid pouring grease down the drain. While appliances are lifesavers, they can also cause quite a hassle when they malfunction. Washing machines, dishwashers, and refrigerators are common culprits of water damage, so be sure to watch for clogged drains and don’t overdo it on the detergent. There is no doubt that Mother Nature can cause some serious flooding, both around town and in your home or business. From flash flooding to rising bodies of water, it’s important that you are aware of your building’s surroundings and know how to reduce the risk of your home or business flooding. 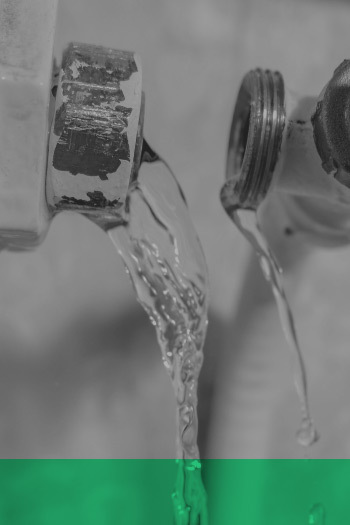 Now that you are aware of some of the common causes of water damage, let’s dive into the common signs of water damage that will help you catch small leaks early and mitigate water damage. A telltale sign you have a hidden leak in your home or business is a large, unexplained spike in your water bill. 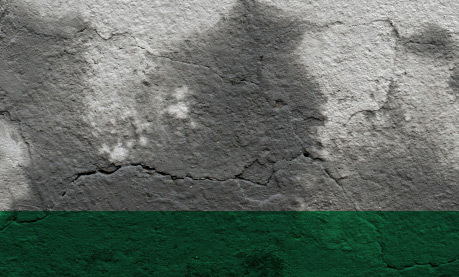 If there is no way you could have used the amount of water indicated on your water bill, you may want to look for any physical signs of water damage around your property. What do you do if your home or business has water damage? If your home or business has been affected by water damage, the first thing to remember is not to panic. No matter where you are located, Colorado Tri-Flo Systems based in Longmont can help mitigate the damage with our top-rated industrial electric heaters for water damage restoration. But, before you can jump into drying out your home or business, there are a few steps you must take first. First, if possible, stop the source of the water. If you are unsure what is causing the flood, shut off your building’s main water valve. Next, make sure everyone within the building is safe by evacuating to dry grounds. With floods, even if the water is clear, you never know what could be contaminating the water and electric shock is a hazard. Due to the electrical hazards flooding can cause, if you can safely access the building’s electrical power supply, turn off the electricity. Once you have done your best to stop the water, reduce safety risks, and you have evacuated everyone to safe ground, call your insurance company. It’s important that you get their approval before you start making repairs. 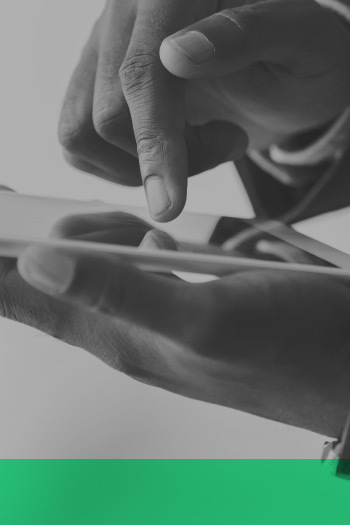 To ensure you get the most coverage, be sure to document everything by taking photos and videos of the damage before you start the restoration process. Once you get the thumbs up from your insurance company to begin cleaning up, you can move forward with the cleaning up process by removing the water and salvaging what you can. Once you have as much of the water removed as possible, you can finally move on to the drying out process. This is where Colorado Tri-Flo Systems comes in! When it comes to drying out a space affected by water damage, you want to ensure that you are using top-rated water restoration equipment to get your space dryed out as fast as possible and prevent mold growth. Our industrial electric heaters are perfect for the job. Whether you are looking for individual industrial electric heaters or looking to buy them in bulk, we have the restoration heater solution for your space. When you do research on heat solutions for water restoration, you will find concerns of safety, power limitations, humidity, and portability. With Tri-Flo industrial electric heaters, you don’t have to worry! Unlike restoration heaters fueled by propane or natural gas, our industrial electric heaters are not combustible and the safest type of heater you can use for indoor restoration projects. With some restoration heaters, such as those fueled by propane, it’s important to pay attention to whether or not they are safe to use indoors, as they can cause carbon monoxide poisoning. With Tri-Flo industrial electric heaters, you don’t have to worry about carbon monoxide poisoning at all. A common issue with restoration heaters is finding an electric source. At Colorado Tri-Flo systems, our industrial restoration heaters are designed to plug in anywhere, whether it’s your home or place of business based on that site’s available power. A concern is that heat systems add moisture to the air, which is true for heaters fueled by propane and natural gas, however, our electric heaters are non-combustible, help maintain low humidity levels, and reduce relative humidity,via heated airflow. Compared to other heating solutions, our industrial electric heaters are lightweight, compact, and easy to transport. No matter where you have water damage, our restoration heaters can get the job done. Our Tri-Flo industrial electric heaters have been independently tested and meet the safety standards of North America. 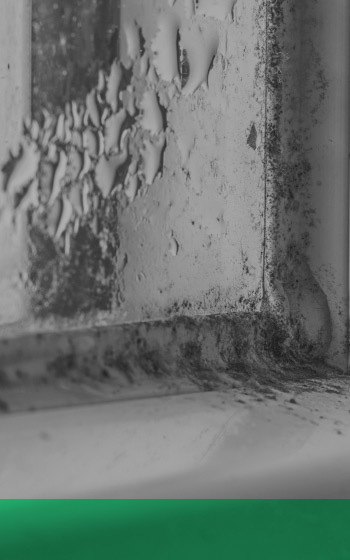 Obviously, with water damage, the main concern is the amount of moisture in the air and significantly reducing the moisture levels within 48 hours — as that is how long it takes before mold begins to grow. But, how do you dry out your space in only 48 hours? Arguably, most people turn to dehumidifiers to reduce the humidity levels in their home or business. Dehumidifiers are definitely a lifesaver when you find your home and all of your belongings under water, but they shouldn’t be used alone. Maximize the short drying time you have and dry your space more efficiently by using both a commercial dehumidifier and industrial electric heaters. As you can see, commercial dehumidifiers and industrial electric heaters are the perfect duo for your water damage restoration project. Commercial dehumidifiers alone remove the humidity or water vapor from the room, but as the room becomes cooler their performance begins to decline. 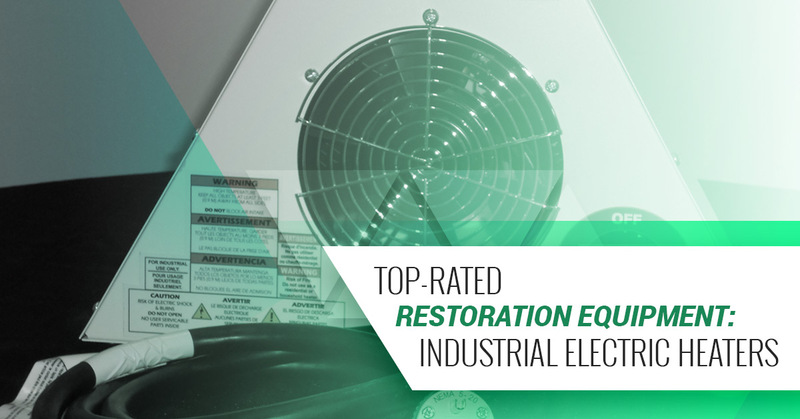 While dehumidifiers are critical for water damage restoration, industrial electric heaters are game changing. Tri-Flo restoration heaters significantly speed up the drying process so you can restore your home to its pre-water damage conditions in record time. By drying out your home fast, you significantly reduce the chances of mold or bacteria growth caused by the water damage. The added bonus, however, with using Tri-Flo industrial electric heaters is that even if mold and bacteria growth had started, the heat from our restoration heaters help stop and kill the dangerous organisms. While our Tri-Flo restoration heaters are game changing, they do not remove moisture from the air. That being said, when it comes to water damage restoration, commercial dehumidifiers and industrial electric heaters are the perfect pair. Water damage to your home or business, whether it’s caused by a busted pipe or a natural disaster is absolutely devastating. At Colorado Tri-Flo Systems, we want you to know that you are not alone. No matter where you are located or what type of water damage you need a restoration heater for, we have the solution for you. Contact us today to learn more about our one-stop solutions or to discuss the best heater options for your water restoration projects. We look forward to helping you dry your space in record time so you can get back to business. Do you work construction? Our industrial electric heaters are also great for construction purposes such as, drying drywall, and curing paint without the taint of propane heaters. Learn more about the benefits of our industrial electric heaters for construction sites today!